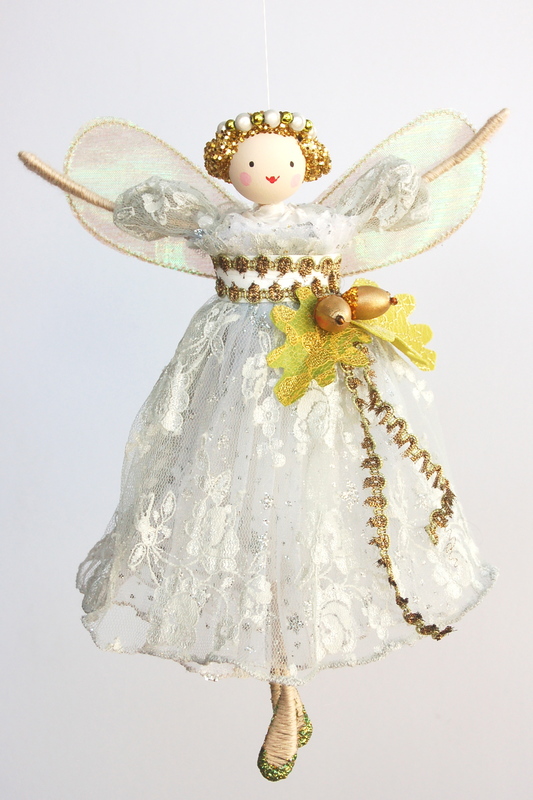 Designed and hand made by Halinka this tree top fairy has a sparkly gold under skirt with a lace over skirt, with a red sash of 1930’s fabric and vintage gold ric rac. 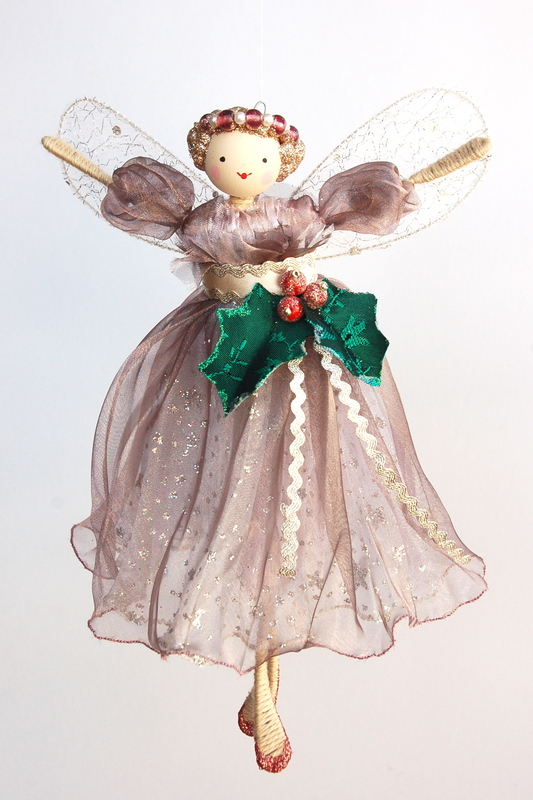 The holly leaves are made from 1950’s fabric and the berries are wood beads. 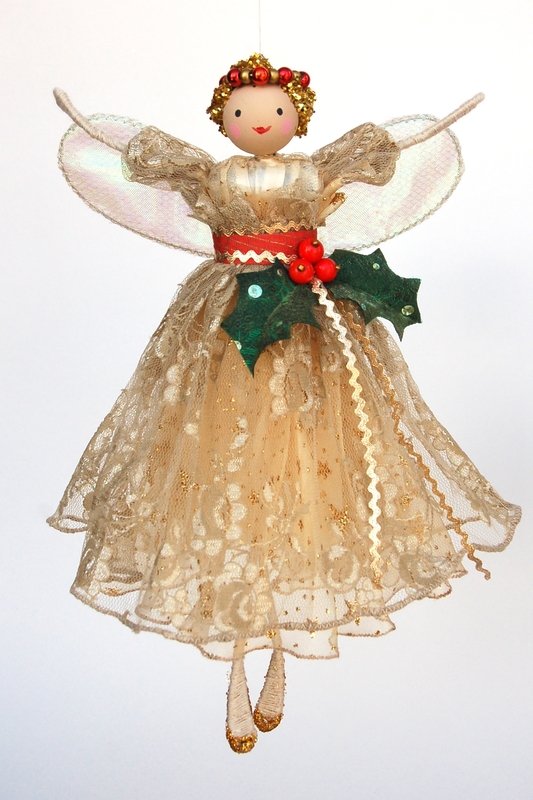 The fairy has a tube inside her body to slot on top of your Christmas Tree and a wire loop on top of her head should you prefer to hang her up. 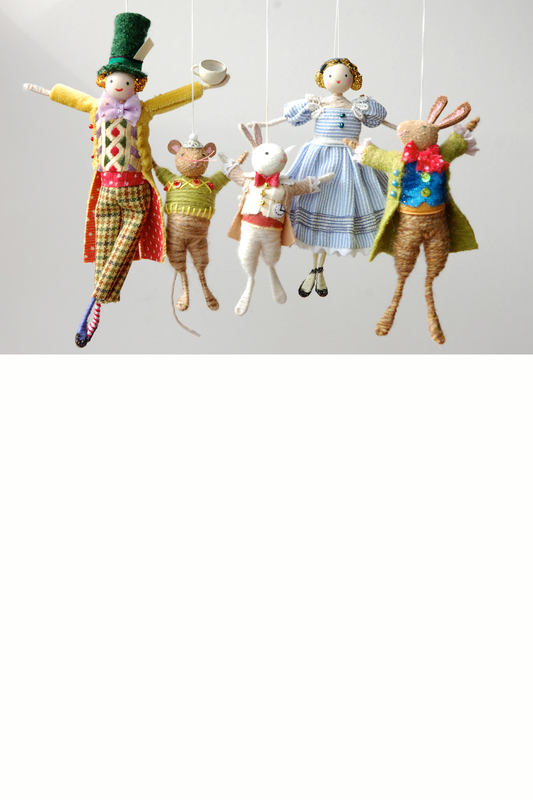 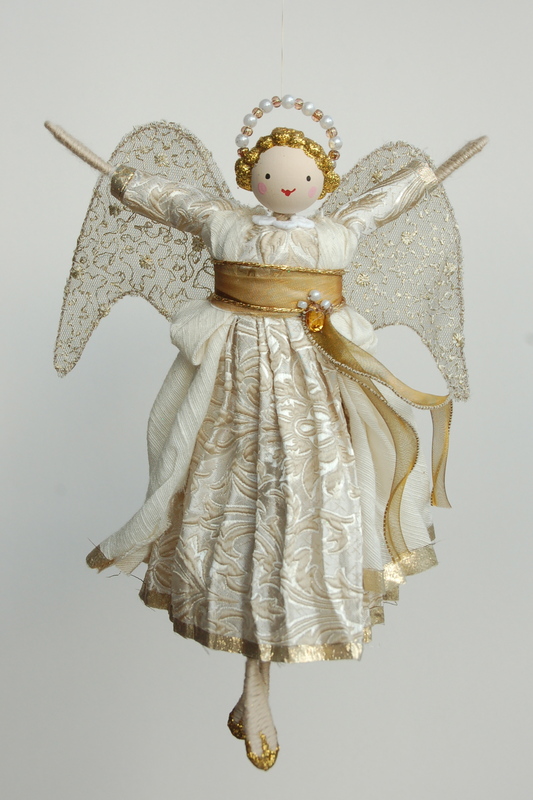 She measures approximately 22cm tall and arrives in her own gift box.